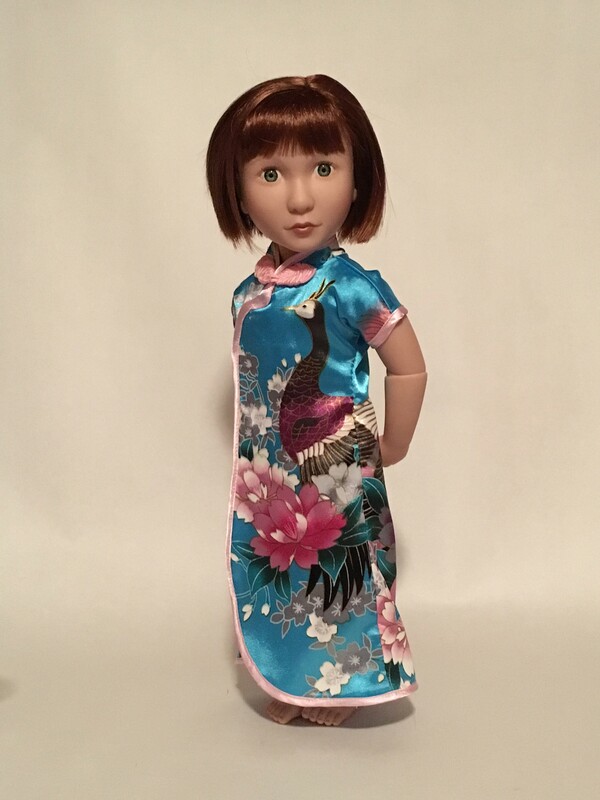 Create a simple wrap Cheongsam - a quick to make Chinese dress. 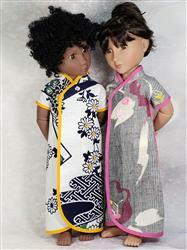 The dress features dolman style sleeves and the edges are finished off with bias binding. It closes with snaps in the front. This is an easy pattern to sew if you use cotton fabric and is great to teach a beginner to sew on bias binding. 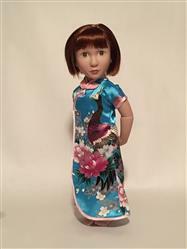 This Ming Lin pattern is also available in other dolls sizes designed to fit 18" dolls such as American Girl®, Disney® Animators' and 14-14.5" dolls. This is an easy pattern with a lot of wow. I did find the sleeves to be very snug and have added a bit to the pattern piece in that area for future use. I adore this pattern!! Easy to make with clear instructions. Beautiful results!